Upon first hearing the name OSIRIS-REx, a picture of an unknown carnivorous dinosaur may come to mind. But OSIRIS-REx (Origins-Spectral Interpretation-Resource Identification-Security-Regolith Explorer) is actually an acronym that names an upcoming asteroid exploration mission. 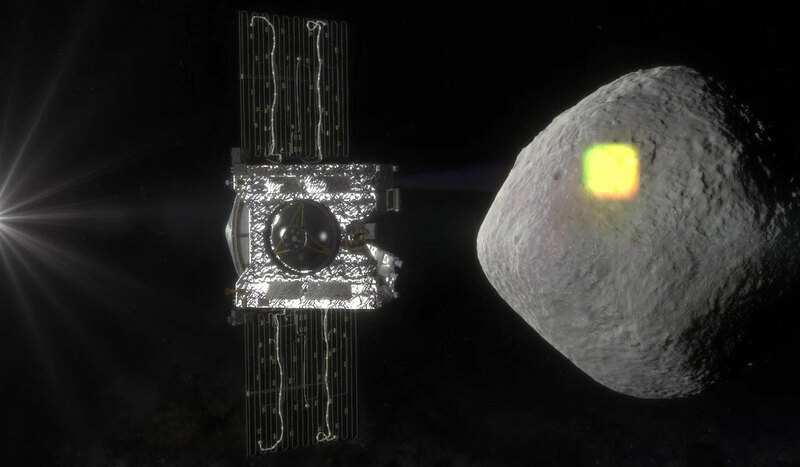 The spacecraft will travel to an asteroid target in a near-Earth orbit, perform scientific experiments, and become the first U.S. mission that gathers a sample from the surface to be returned back to Earth for further study. This mission will try to answer some fundamental questions about our existence. What are the building blocks for our creation? What will the future bring? To understand the OSIRIS-REx mission further, let’s take a look at what an asteroid is. An asteroid is not the same as a comet or a meteoroid – there are differences in composition, origin of their formation, and size. An asteroid will have a diameter of at least one meter or more, and it is made of debris left after the solar system formed – primarily minerals and rock. Many asteroids exist – millions, as a matter of fact. Most of the ones we know about reside in a place in the inner part of the solar system called the asteroid belt (which lies in between the orbits of planets Mars and Jupiter), and some even share an orbit with Jupiter. Due to their rich composition, asteroids are a key to unlocking facts about our sun and planets’ history. There isn’t a huge difference between the makeup of a primitive asteroid today versus when they were formed almost 4.5 billion years ago, therefore they may hold answers to long standing scientific and philosophical questions about where life on this planet originated. 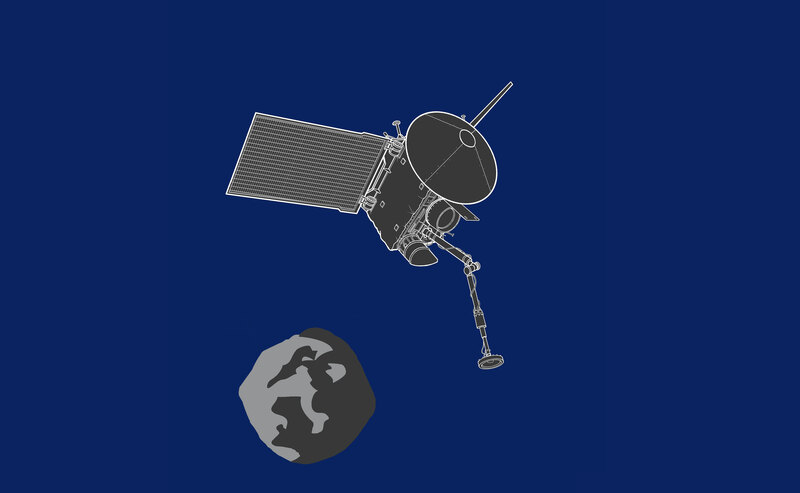 The carbon-rich asteroid chosen to be the focus of this mission is named Bennu. Bennu is a B-type asteroid with a diameter of around 500 meters. When it orbits, it comes very close to Earth every six years – about 0.002 AU (astronomical units) away. There are several reasons Bennu was picked – its distance from Earth, its size, and its composition are a few of them. But there is another much more dramatic reason to study this asteroid – because of how close it orbits near Earth, there is a high probability it could hit the planet sometime in the late 22nd century. Asteroids contain an abundance of natural resources, including water, organics, and precious metals that could be critical supporting components for future manned and robotic spacecraft traveling the solar system. Also, quite importantly, the chemical and physical makeup of Bennu will be essential information needed in the case of an imminent future impact with Earth and scientists would need to devise a plan to extinguish the threat. 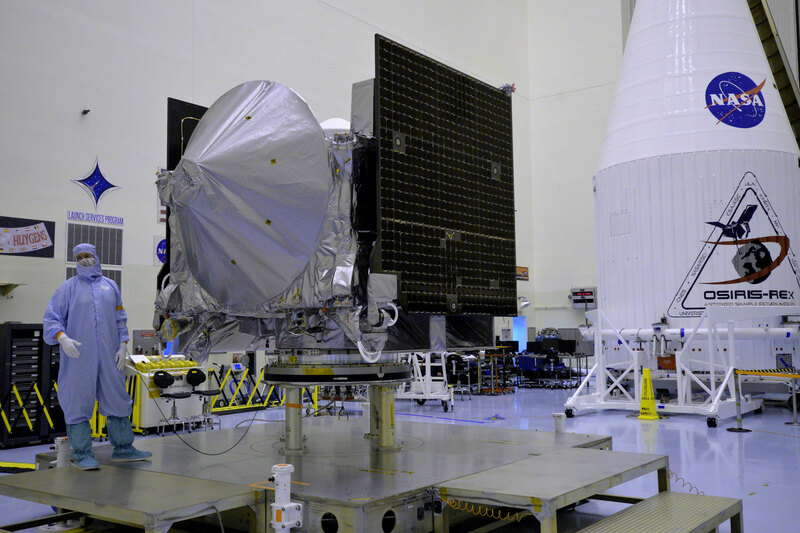 The spacecraft will be packed atop an Atlas V 411 rocket and is due to launch on September 8, 2016. It has a 34-day launch window. After three years of traveling – one of those spent orbiting the Sun before using Earth’s gravitational field as an assist to get to Bennu – OSIRIS-REx will arrive. 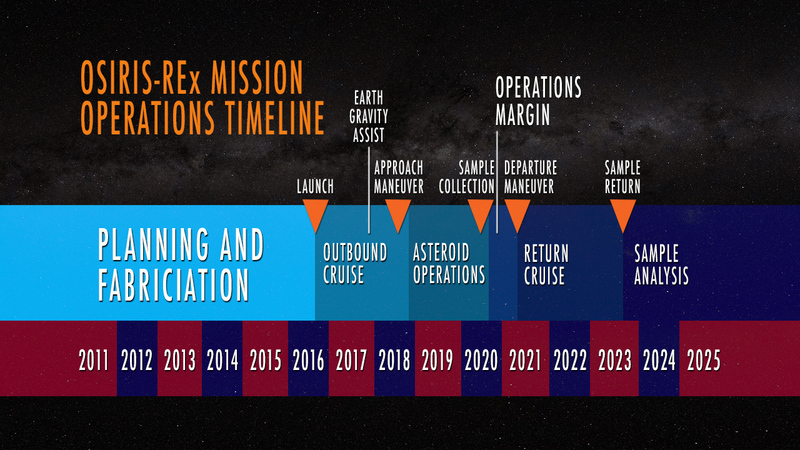 A year long detailed survey will occur two months after the spacecraft nears Bennu and slows down – this is when possible sites for sample collection will be mapped out. Once the site is chosen, the sampling arm on the spacecraft will extend towards the surface of Bennu and make contact for approximately five seconds. During this time, the arm will send out a burst of nitrogen gas which will stir up rocks and material on the surface so they can be captured by the sampler head. There is enough nitrogen in the machine for three attempts at collecting a sample, for a total of between 60 grams and 2 kilograms (2-70 ounces) of material. OSIRIS-REx will not begin its journey home until March 2021, when the window opens for it to leave the asteroid. It will take two and a half years for it to get back to Earth, arriving in September 2023. The spacecraft will release the sample return capsule so it can enter the atmosphere and fall back to the ground in the Utah Test and Training Range. The science team will perform research on the sample for two years following its return, cataloging the sample and conducting analysis to achieve the goals of the mission. At least three quarters of the sample will be remain preserved at NASA’s Johnson Space Flight Center in Houston so that others may conduct research on it, as well, for generations to come. For more information on OSIRIS-REx, please visit http://www.asteroidmission.org/. Want to be an OSIRIS-REx ambassador? What is an OSIRIS-REx ambassador? An OSIRIS-REx ambassador is an individual trained to represent NASA’s OSIRIS-REx mission to the public. The OSIRIS-REx Ambassadors Program is a volunteer program, which engages mission representatives with the public in informal venues such as science museums, community events, and mission activities. The purpose of the program is to provide trained, knowledgeable, and skilled volunteers for community engagement activities. Ambassadors communicate the excitement of the OSIRIS-REx mission. They provide information about NASA, University of Arizona Lunar and Planetary Laboratory, which leads the mission, Goddard Space Flight Center, Lockheed Martin, and instrument partners. What does OSIRIS-REx provide for ambassadors? The program not only helps the OSIRIS-REx mission engage students and the public with the mission and solar system exploration, but provides ambassadors with training in public engagement and mission content, access to breaking news about the mission, and interaction with team members and activities. Ambassadors can work in public venues or helping behind the scenes. This ambassador program is modeled on and teams with other volunteer programs, including NASA’s Solar System Ambassadors, and local efforts for even more opportunities. How can you become an OSIRIS-REx ambassador? The program has online and local sessions throughout the year. Contact OSIRIS-REx at orambgroup@orex.lpl.arizona.edu to sign up and get started as an ambassador.